These are some of the tough but critical questions we've been asked over the years regarding purchasing point of sale systems. Request this FREE publication and be better prepared to save thousands of dollars when making YOUR next point of sale system purchase. Do you want to increase your sales? Control inventory shrinkage? Improve relationships with your customers or patrons? Then I urge you to pick up the phone right now, dial 1 (800) 896-4022 and talk to us about helping you acquire a profitable Point-Of-Sale (POS) solution for your business. Here's why. Contrary to popular belief, a POS system is more than just "a cash register". 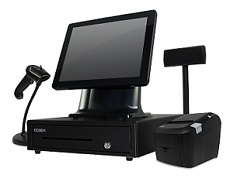 A POS system is a major focal point in your business. My friend, a cash register can only show your cash flow for the day. That's it. Nothing else. "I made [insert any number here] dollars in sales today." So what? This tells you NOTHING about the state of your business. Excellent question. Let's review a few ways how a POS solution by P Hardy Technologies can help you financially, shall we? A POS solution by P Hardy Technologies can provide insight into profit… instantly. Why do you want this benefit? Well, do you want to stay in business? The only way you are going to know if you can afford to stay in business is if you know how profitable you are. Duh. 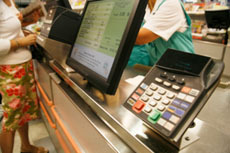 A POS system by P Hardy Technologies can provide [more accurate] insight into inventory. Take the money you would have spent on counting inventory and go make a bank deposit. Something tells me you prefer option B. This is what a POS solution by P Hardy Technologies allows you to do. It's all about dollars and cents, my friend. Dollars and cents. A POS solution by P Hardy Technologies can help you improve customer relationships. To operate a sustainable business, you don't want shoppers or window gazers, you want customers, patrons or who we sometimes refer to as preferred guests. A POS solution by P Hardy Technologies will allow your employees to spend more time on the floor helping your preferred guests and less time behind the counter or standing around doing nothing. Your preferred guests will appreciate the discounts, gift cards and/or extra services you can provide to them for their loyalty and in return, you'll enjoy the new and recurring business (read: guaranteed revenue) you'll receive. When you know who your preferred guests are, what they're buying, and when, you can create effective marketing campaigns that target the right guests with the right incentives. Other advantages include reduced pricing errors, faster ticket generation and checkouts and much more. Ok, I'm interested. What do I do next? 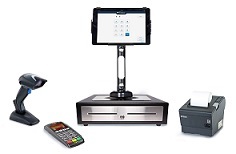 Whether you are a single "mom and pop" shop, general retailer, specialty retailer, boutique, convenience store, supermarket, restaurant, or a multi-location operation requiring one or more point of sale networks, give us a call at 1 (800) 896-4022 or contact us using our online form and together, we'll create and manage the point of sale solution that works best just for you. I already have a POS solution but I need help. What can you do for me? Are you tired of trying to manage the IT side of your store or restaurant? Conerned about PCI? Worried about the last time you backed up your data? (You did back it up, right?) Is it 100% guaranteed to be reliable in the event of data loss or corruption? How do you know? We can help! Check out our technical support and managed services section for more information. Please contact us for store and restaurant relocation solutions.